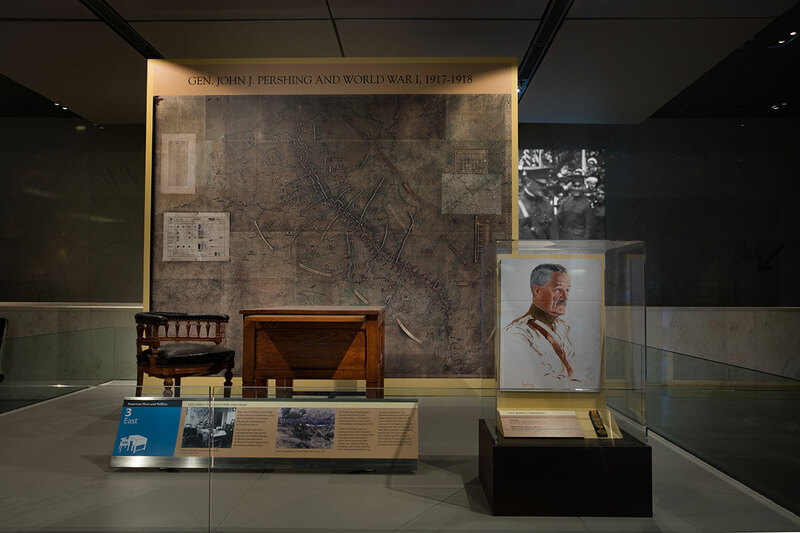 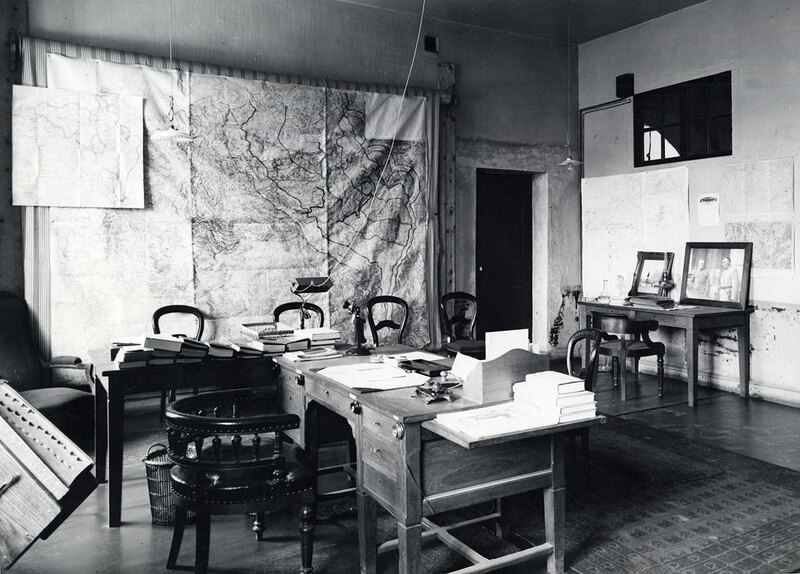 The desk from General John J. Pershing’s war room, together with a full-size reproduction of the wall map on which he tracked troop movements, form the new landmark display for the Museum’s third floor east. 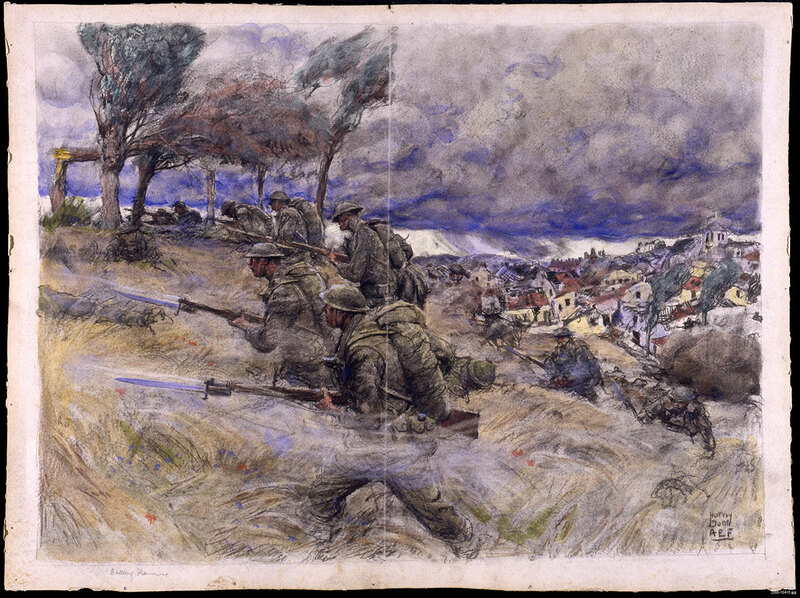 The map shows troop locations on the western front the very day armistice was reached. 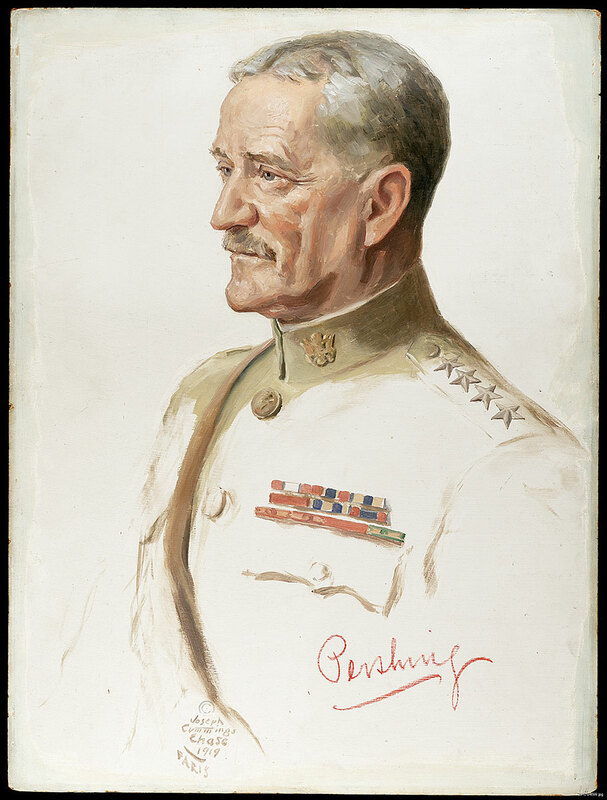 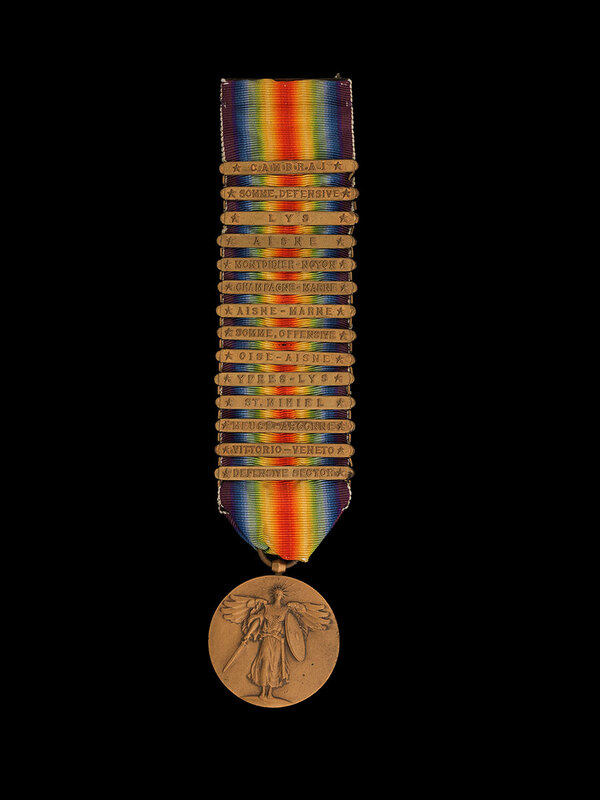 Under Pershing’s command, two million American soldiers helped break the stalemate in Europe and win the war for the Allies.